What Does a Cardiac Catheterization Laboratory Nurse Do? Where Do Cardiac Catheterization Laboratory Nurses Work? What Is a Cardiac Catheterization Laboratory Nurse? Typically only available in large hospitals and clinics, and open only to nurses with suitable credentials and practical experience in a specialty role, the Cardiac Catheterization Laboratory Nurse must be a patient-care specialist in all aspects of the Cardiac Catheterization laboratory, or Cath Lab. The role does vary, but commonly, the Cath Lab nurse assists the Cardiac Interventionist in performing diagnostic and therapeutic percutaneous coronary intervention (PCI) on patients with heart disease and defects. PCI helps to diagnose and treat myocardial infarction and typically includes placing stents to coronary arteries. Closely monitoring the patient for improvement or complications, administering medications including conscious sedation and assisting the Interventionist are some of the tasks of this role. Becoming a Cardiac Catheterization Laboratory nurse involves rigorous post-licensure training and clinical experience. The most competitive candidates are ones that have a breadth of experience as a nursing generalist, coupled with a drive to promote public awareness of signs and symptoms of cardiovascular disease and advocate lifestyle modifications to reduce risk disease markers. Candidates will show aptitude and diligence to increase early detection of vascular disease, as well as actively promote a lifestyle to help patient outcomes in the vascular unit. What Are the Education Requirements for a Cardiac Catheterization Laboratory Nurse? At the minimum, nurses require an ADN diploma coupled with the successful completion of the NCLEX-RN license. Nurses are required to be in good standing with the state Board of Nursing, and have clinical experience on the nursing floor. Today, most candidates often possess a BSN degree to remain competitive for job opportunities. Any Certifications or Credentials Needed? The following credentials and experience are listed here in order to give candidates and those interested in becoming a CCL nurse the best opportunities for professional development prior to the required certifications. While not universally required, those nurses who have a number of relevant credentials may stand a better chance in a job competition. Having achieved some or all of the pre-requisites and professional development, nurses may then apply to the Cardiac Vascular Nursing Certification (RN-BC) program offered by the American Nurses Credentialing Center (ANCC). RN-BC certifications must be renewed every five years. Practical experience is best obtained through the cardiac cath lab training program through your employer. Programs are intense, and last about 6 months, depending on the hospital and state where you're located. Once certified, you'll be a competitive candidate for Cardiac Catheter Lab position. Typically found in hospital settings, the Cath Lab nurse may also work some shifts in the outpatient clinic environment. Shifts are commonly 8 or 10 hours on the hospital floor, 4-5 days a week, with the option for on-call hours as well. Some hospitals offer the typical 12-hour three days a week shift of other nursing roles. The Cath Lab nurse assists the Cardiac Interventionist in performing diagnostic and therapeutic interventions. He or she closely monitors the patient for complications, administers medications including conscious sedation, and assists the Interventionist are the main tasks of this RN. What Are the Roles & Duties of a Cardiac Catheterization Laboratory Nurse? The median salary of a Cath Lab nurse is about $68,000, though salary does range from $52,000 to almost $100,000. Largely depending on experience, level of education, additional certifications, state and whether you're in a rural or urban locale, are all factors that may affect salary for this position. 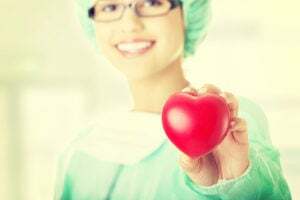 Cardiac disease is still responsible for about a quarter of deaths in the United States - a multifactorial problem, there is a great demand for nurses to help patients meet and overcome these challenges. With current rates of sedentary behavior and Western diet, there is a definite demand for cardiac catheterization lab nurses.